Gareth Widdop has earned his place on the list. Widdop's made the positional switch from five-eighth to fullback following the arrival of Corey Norman which has drawn plenty of criticism from a number of pundits. The Dragons skipper is leaving the club at the end of the year for Warrington in Super League after being granted a release - which is why the club immediately signed Norman. 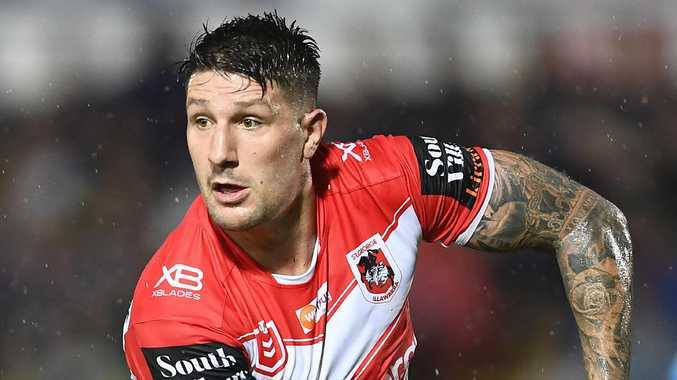 Widdop was interviewed following the Dragons' loss to South Sydney last Thursday, and when asked about his switch, the visibly frustrated English star said it was because "Mary (coach Paul McGregor) made a decision and wanted me to go back there". "We're only judging off what Gareth Widdop has spoken about, but there has been a lot of concern over the weekend in terms of the way he spoke after the game," Ennis said in the wake of the comments. "I think for Gareth Widdop, as captain, sometimes you get put in positions where you've just got to do what's right for the team and you've just got to bite down on the brittle as captain and get on with it. "For Gareth Widdop, that's exactly what he needs to do. 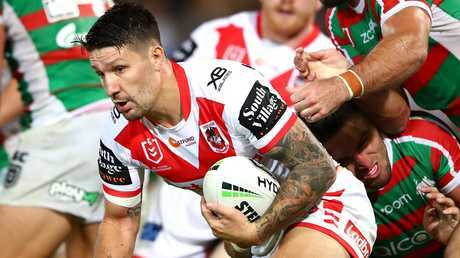 Gareth Widdop in action for the Dragons. "At the moment, they're short on a few middles. They welcome back Korbin Sims this week but they've got a lot of youth there. They're missing Tyson Frizell and Jack de Belin, two household names out of the middle of their pack. "Mary's the coach. He's come up with a plan that he thinks works for that club, and while you're the captain, you are there to lift and inspire and give everything you can in the position you're asked to play for the team. "Gareth's a wonderful player, there's no doubting that. 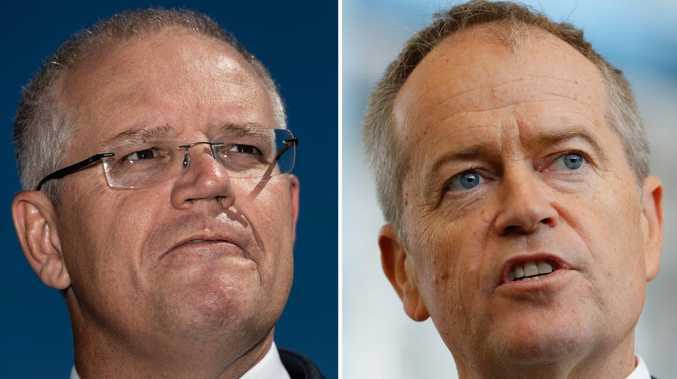 But I think he can put that unrest to bed - external noise - if he goes out and has a really strong performance against the Broncos on Thursday night. "He is one of the best five-eighths in the game, but he's been asked to play fullback for the make-up of the side. He's just got to get on with it."